Taking more than the recommended dose can cause serious health problems, including liver damage. In case of overdose, get medical help or contact a Poison Control Center right away. Quick medical attention is critical for adults as well as for children even you do not notice any signs or symptoms. 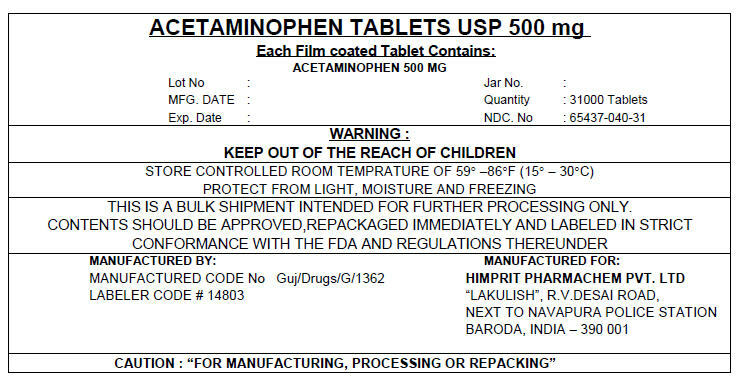 • Children under 12 years : do not use this adult Extra Strength product in children under 12 years of age; this will provide more than the recommended dose (overdose) and could cause serious health problems.